Shouldn't Rush Be In The Rock And Roll Hall Of Fame? : The Two-Way The band has sold more than 40 million records. What do the three Canadians have to do to get honored? Rush guitarist Alex Lifeson (left) and singer/bassist Geddy Lee. Last year I went on about why KISS should be in. And about 86 percent of those who clicked on our "should KISS be in the Rock and Roll Hall of Fame?" question said "yes" (you can still express your opinion on that critical question here). This year, let's consider Rush. As Wired's GeekDad blog wrote in September, the Canadian trio has sold more than 40 million records and has "more consecutive gold and platinum records than everyone except the Beatles and the Rolling Stones." Even the president and CEO of the Rock Hall concedes the band should be honored. "They simply haven't gotten enough votes to make the ballot," Terry Stewart told Cleveland's The Plain Dealer earlier this year. "I can't tell you why. Based on impact, influence, innovation, and excellence, they're worthy. I think it's just a matter of time before it happens." 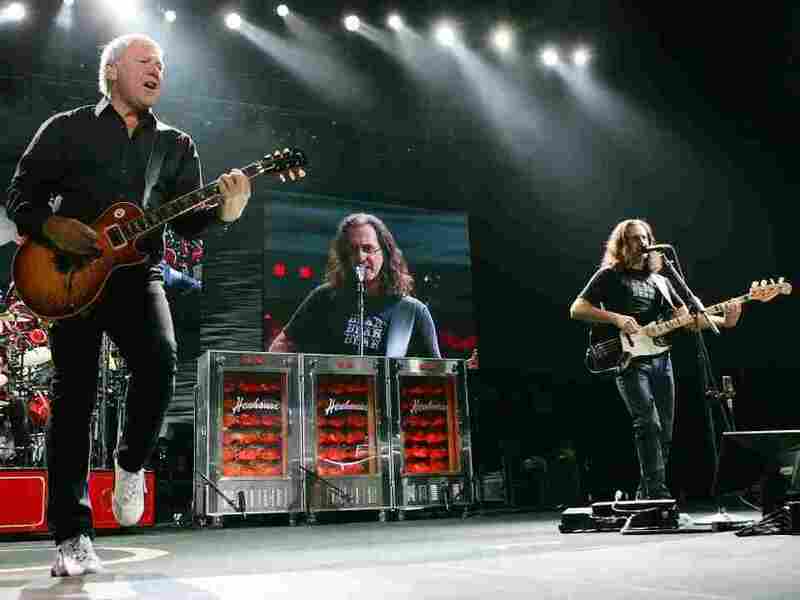 Should Rush be in the Rock and Roll Hall of Fame? We'll keep the question open until the end of Friday. And now we'll turn the rock 'n' roll coverage back over to our much savvier colleagues at The Record.